Butterflies are associated with transformation and the soul. The butterfly is one of nature’s most perfect examples of change, transformation, and growth. Because of this, it has long been the subject of magical folklore and legend in a variety of societies and cultures. Irish folklore holds that the butterfly is related to the very soul of a human being. It’s considered bad luck to kill a white butterfly because those hold the souls of deceased children. The butterfly is also associated with the fire of the gods, the dealan-dhe', which is the magical flame appearing in the needfire, or in the Beltane balefire. It’s important to keep an eye on the butterflies because in Ireland, they’re known for the ability to pass easily between this world and the next. 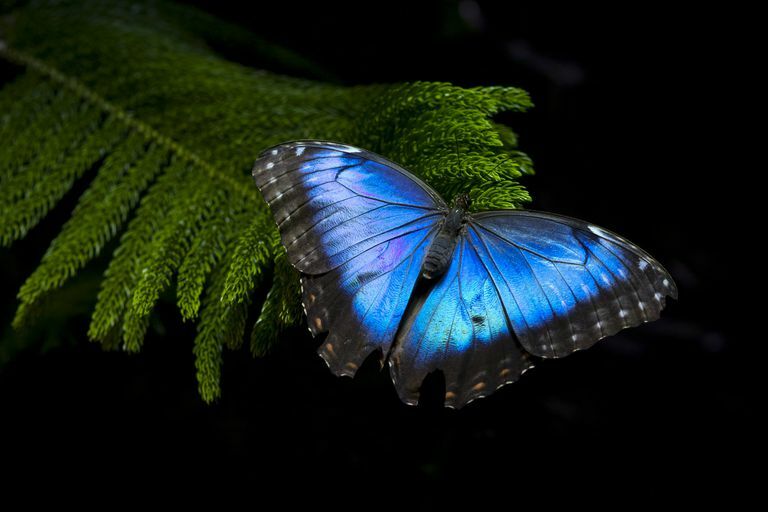 The ancient Greeks and Romans also held butterflies in metaphysical regard. The philosopher Aristotle named the butterfly Psyche, which is the Greek word that means “soul.” In ancient Rome, butterflies appeared on denarii coins, to the left of the head of Juno, goddess of weddings and marriage. The butterfly was associated with transformation, and there is a famous Roman statue of a butterfly flying out of the open mouth of a dead man, indicating that the soul was leaving his body via the mouth. Native American tribes had a number of legends concerning the butterfly. The Tohono O'odham tribe of the American Southwest believed that the butterfly would carry wishes and prayers to the Great Spirit. To do this, one must first catch a butterfly without harming it, and then whisper secrets to the butterfly. Because a butterfly cannot speak, the only one who will know the prayers that the butterfly carries will be the Great Spirit himself. According to folklore, a wish given to a butterfly is always granted, in exchange for setting the butterfly free. The Zuni people saw butterflies as indicators of weather to come. White butterflies meant the summer weather was about to begin–but if the first butterfly seen was dark, that meant a long stormy summer. Yellow butterflies, as you might suspect, hinted at a bright sunny summer season. In Mesoamerica, the temples of Teotihuacan are adorned with brightly colored paintings and carvings of butterflies and was associated with the souls of fallen warriors. The Luna Moth–which is often mistaken for a butterfly but technically is not one–represents not only spiritual growth and transformation but also wisdom and intuition. This may be because of its association with the moon and lunar phases. In the Appalachian mountains of the United States, fritillary butterflies, in particular, are numerous. If you are able to count the spots on a fritillary’s wings, that tells you how much money is coming your way. In the Ozarks, the Mourning Cloak butterfly is seen as a harbinger of spring weather, because unlike most other species of butterfly, the Mourning Cloak winters over as larvae and then makes its appearance once the weather gets warm in the spring. In addition to butterflies, it’s important not to forget the magic of the caterpillar. After all, without them, we’d have no butterflies! Caterpillars are determined little creatures who spend their entire existence preparing to become something else. Because of this, caterpillar symbolism can be associated with any sort of transformative magic or ritual. Want to shed the baggage of your old life and embrace a new and beautiful one? Include caterpillars and butterflies in your rituals. If you'd like to attract magical butterflies to your yard, try planting a butterfly garden. Certain types of flowers and herbs are known for their butterfly-attracting properties. Nectar plants, such as heliotrope, phlox, coneflower, catnip, and butterfly bushes are all great plants to add. If you want to add hosting plants, which form good hiding places for caterpillars, consider planting alfalfa, clover, and violet.